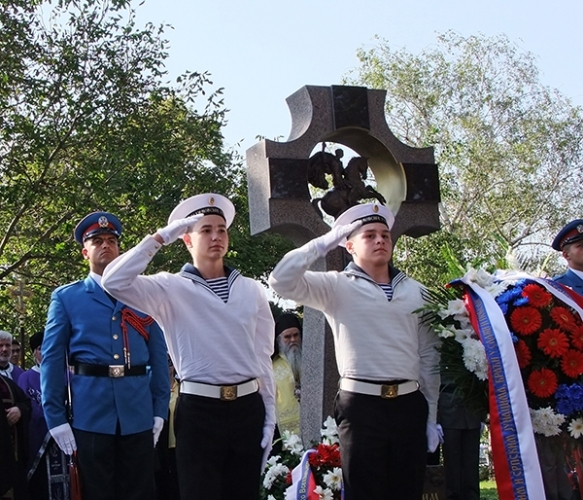 Belgrade, September 19, Interfax - A commemorative sign honoring the soldiers who fought in the First World War, defending the Kalemegdan fortress in Belgrade, was inaugurated by Serbian President Tomislav Nicolic and Russian Railways (RZhD) chief Vladimir Yakunin. 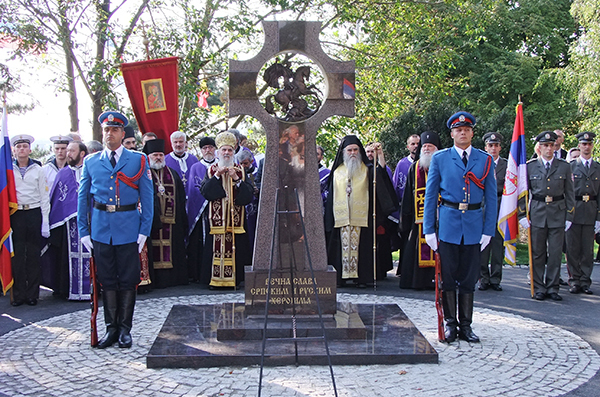 The monument was set up at the fortress Kalemegdan where the river Sava merges the Dunay river. 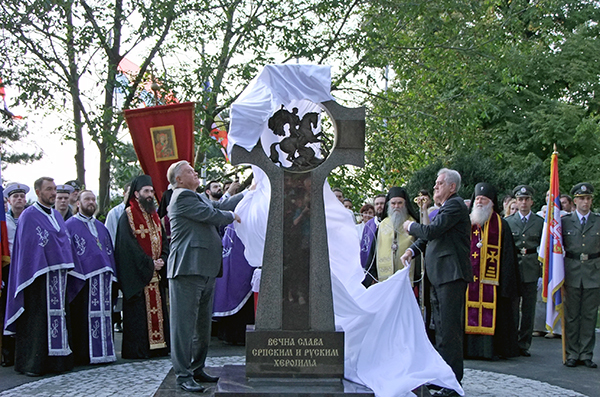 It was blessed by Patriarch Irinej of the Serbian Orthodox Church, bishop Nazary of Kronshtadt who is the locum tenens of the St. Alexander Nevsky’s Laura of the Holy Trinity, and a Russian Orthodox Church representative in Belgrade Archpriest Vasily Tarasyev. The commemorative sign in the form of a cross featuring the image of St. George the Victor is the collective work made by a group of St. Petersburg-based artists led by painter Albert Charkin and architect Yury Pavlov for the Center of National Glory. Making history a myth and “darkening” heroic deeds of the war are unacceptable, Yakunin said during the conference Great War and the Start of New World: Urgent Agenda for Humanity organized by the Center of National Glory and St. Andrew the First-Called Foundation as he is a chairman of its tutorial board. “Serbia, where the conference is held, survived many troubles, suffered many victims, and now urges offsprings: “It shouldn’t repeat!” Yakunin stressed. According to him, wars are the result of a deliberate action by “the global political elite,” Yakunin said. “Historical parallels between today’s situation and that of 100 years ago are obvious,” the RZhD chief said.